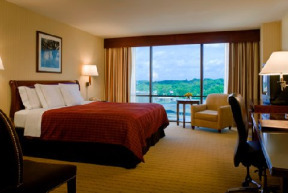 Our Host Hotel is a 17 story hotel that has oversized guest rooms and suites. It is connected to the Birmingham Jefferson Convention Complex by a climate controlled skywalk that leads to the exhibit entrance. It has several parking decks and parking lots available. There are many onsite restaurants within walking distance, bars, indoor pool, wi-fi, 10-minute shuttle drive from the airport, and more! Click below to book your room or by calling 1-800-325-3535. If you call make sure to ask for Birmingham Alabama Reservations and request the “World Deer Expo” discounted rate. To make reservations after July 7th, you must call the hotel directly and ask for “In-House Reservations” at 205-324-5000. 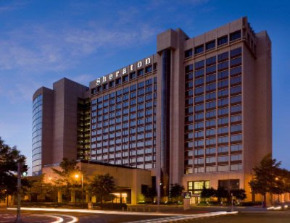 The Westin Hotel is right beside the Sheraton Hotel and is connected by skywalk to be able to access the BJCC Exhibiton Halls.